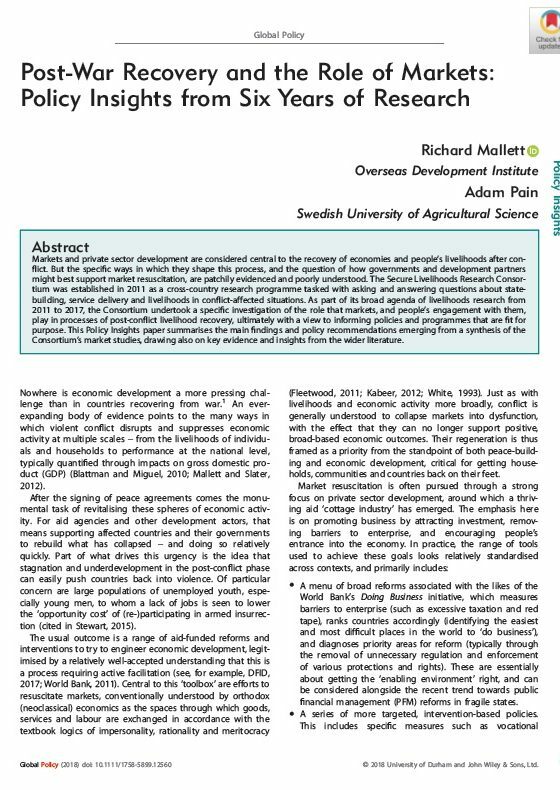 This briefing paper draws on findings from research on Afghan agricultural commodity markets and rural and urban labour markets. 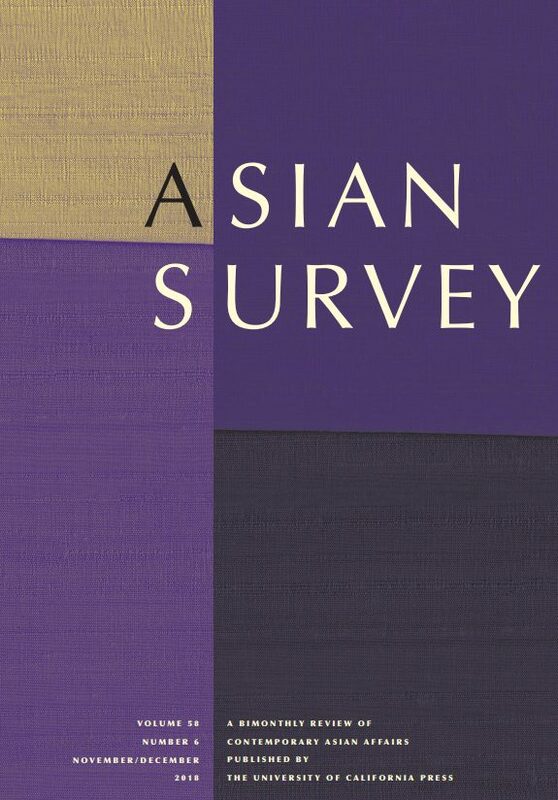 The studies explored how people navigate and negotiate their economic life. They were based on market system and value chain approaches while informed by concepts from economic sociology. These emphasise the socially oriented nature of economic action and the pervasive role of power in markets. 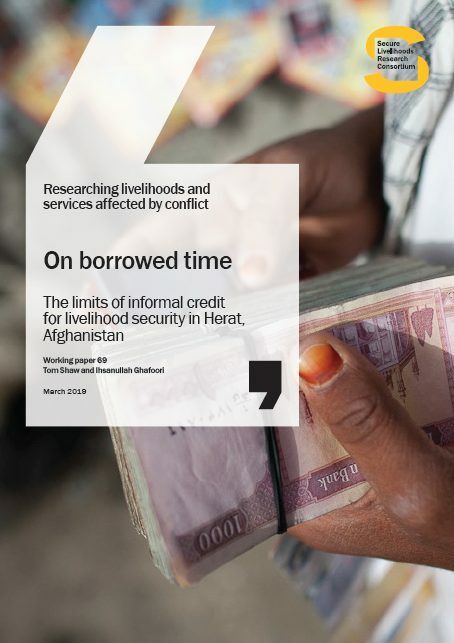 Five case studies were undertaken: two on rural commodity markets of onion and saffron in Nangarhar and Herat (Minoia et al 2014, Minoia and Pain 2016), one on rural labour markets in Herat (unpublished work, Minoia and Pain 2016) and two on urban self-employment in Kandahar (Minoia and Pain 2015) and Kabul (Pain and Mallett 2014). The research has been part of a multi scale study investigating household livelihood trajectories (Pain and Huot 2016) and institutional processes at village (Pain 2016) and provincial level (Jackson 2016). 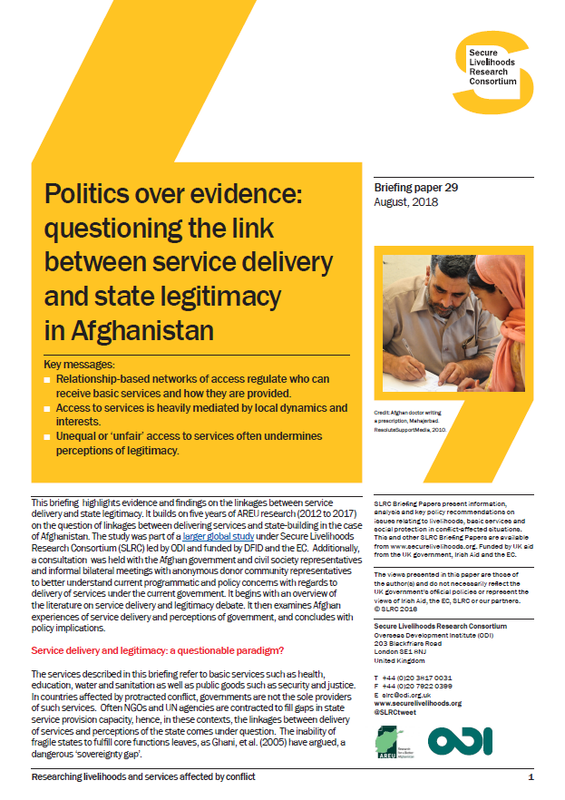 This brief presents a synthetic account of policy approaches to Afghan markets and actual market practices. It then discusses key findings from field case studies and the implications of these for future analytical approaches to understanding markets in conflict and programmatic practice. The associated working paper to this policy briefing is accessible to download here.